When you step foot into your home, how does it make you feel? Do you feel a rush of creativity? Moreover, do you feel comfortable and happy, if you were to spend a day reading in your living room or bedroom? Your home’s interior design can affect your mood a great deal. This is a result of the colours and patterns that you choose, but there are additional, bigger picture reasons as to why your feelings can shift. Take the example of the tidiness and cleanliness of a room, and how this can help you become productive. Moreover, the design and furniture that you choose will, undoubtedly, play a role, among other factors. The interior design of your home plays a major role in your mood. For starters, this can be seen in terms of the style of décor that you choose. Whether you opt for a modern or antique look can say a lot about your personality, and most importantly, the type of furniture you choose, as well as the colours, textures and patterns associated with them, can easily affect how you feel in a given room. For instance, you may enjoy multi-purpose rooms that are equipped with multipurpose furniture. One example of this can be seen through wall beds, and this further shows that you enjoy maintaining a minimalistic and tidy space, which can help you concentrate when needed. The layout of your home can further help impact your mood. 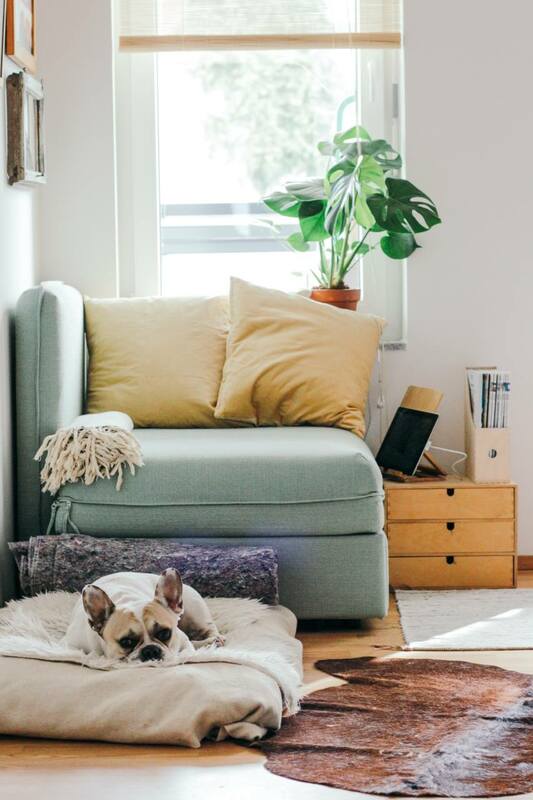 In particular, there is an ancient tradition known as Feng Shui, that helps people boost their positive energy within the home, as a result of how they organise everything. Everything down to the very last detail, from where you choose to place furniture pieces, can say something about you as a person and what type of environment you want to create. The amount of natural light that you let in during the day can also help put a smile on your face and brighten your day. Think, for a moment, about whether you would prefer working in an environment that is dark, or one that is filled with windows and mirrors, making it appear lighter and brighter. The second option is the one that positively impacts people’s mood. Due to the fact that your home plays such a big role on your mood, you should be mindful of how you set it up and keep everything organised. Everyone wants to spend their free time in a space that is comfortable and boosts their creativity and you can easily transform your home in such a place, you simply have to take the necessary steps to do so.